HomeNew CarsNewsVisit Gaadi Store To Get The Best Price For Your Used Car & Rs 11,000 Cashback! Visit Gaadi Store To Get The Best Price For Your Used Car & Rs 11,000 Cashback! Thinking of selling your car? Visit Gaadi by CarDekho to sell it in under 120 minutes, get the best price and a cashback of Rs 11,000! Sell your car at Gaadi now, get Rs 11,000 cashback! - Book an appointment today! 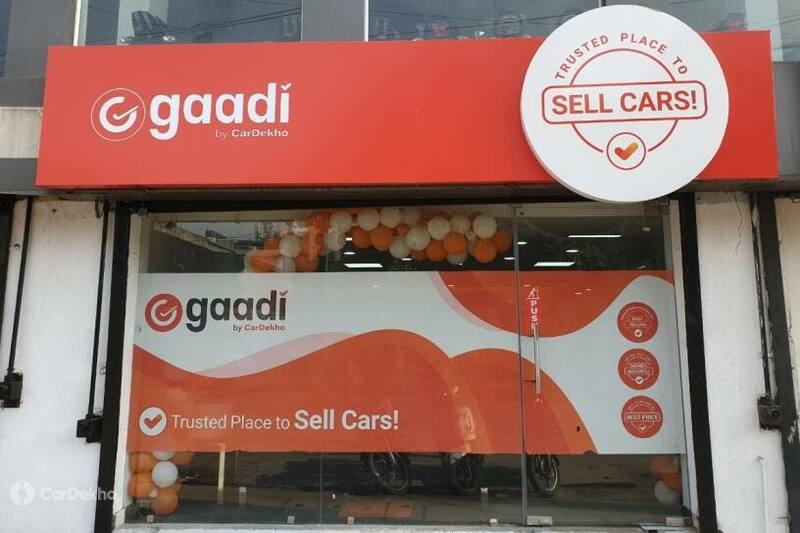 Gaadi has 15 operational stores in Delhi-NCR and 12 in Bengaluru as well. The idea is to open 200 stores by the end of FY 2019-20 to make the largely unorganised used car market in India, a better and trustworthy market. Get best price for your used car - Visit Gaadi Store & get Rs 11,000 cashback! Offer valid only on Sunday, 14 April 2019, across all Gaadi stores in Delhi-NCR and Bengaluru. 1- Your car's resale value should be more than Rs 1,00,000. 2- Cashback will be credited to your account in 10 business days.